CTC-Spain is a private non profit research organization, recognized by the Spanish Government as Technological Centre, Office of Transfer of Research Results and it is declared of Public Use. 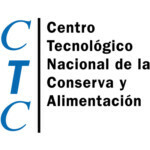 CTC’s main aim is to promote research, innovation, competitiveness and internationalization of the national agrofood sector. CTC activities are related with technology transfer, training and dissemination. CTC’s labs are accredited under UNE-EN ISO/IEC 17025:2005 standard. CTC’s staff is integrated by 26 people, 23 of them dedicated to research and innovation activities and the rest to financial and supporting activities. CTC’s scope of work is research, development and innovation in the food sector.